Margaret Lawson was a talented animal sculptor but her work is not well known. She won the St Gaudens prize in 1915, and exhibited at the Pennsylvania Academy of Fine Arts in 1914. She lived in New York, Pennsylvania, and Connecticut before she moved out west where she lived in New Mexico and in her later years in California. She continued to sculpt thru out her life. 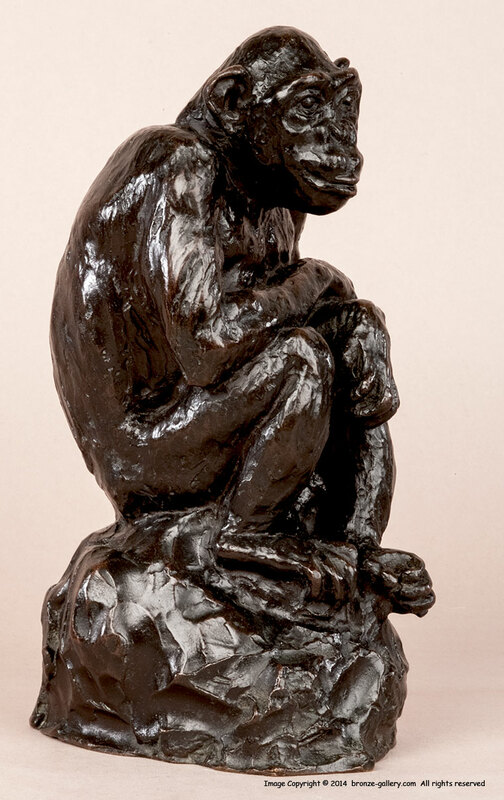 This rare bronze is a portrait of a Chimpanzee named "Betty". 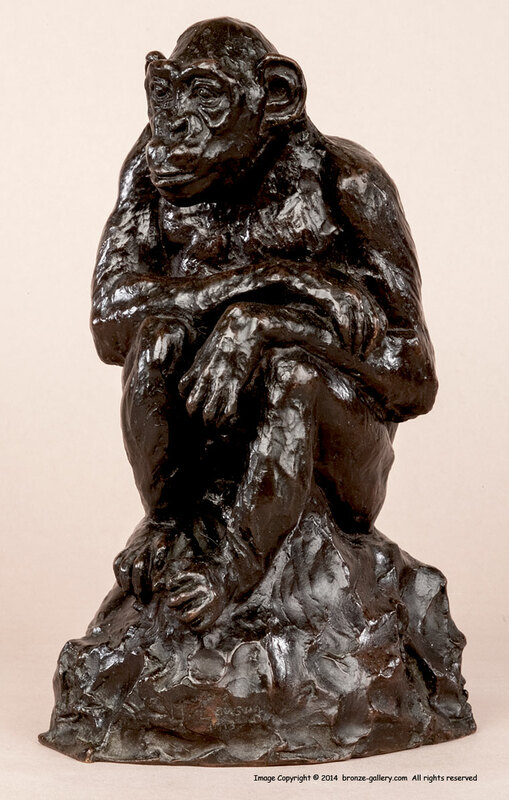 It was exhibited in 1914 at the Pennsylvania Academy of Fine Arts. The bronze is signed and dated 1913, it was cast by the Griffoul Foundry in Newark NJ. This sculpture is a sensitive model of one of our closest relatives, the Chimpanzee. It is a superb sculpture which came from the artist's estate.